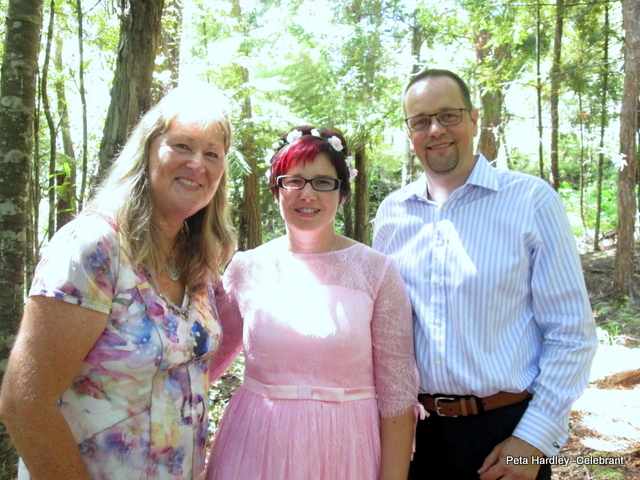 One of the things I love about being a celebrant is the variety of people and ceremonies. 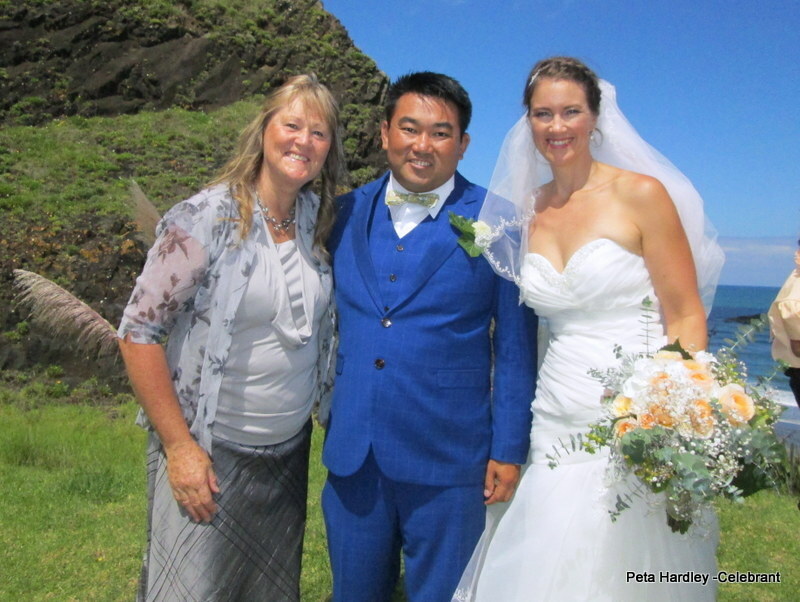 For a long time Linde said she, like many others, believed she would finally be happy when she had the ‘perfect relationship’ with another person. 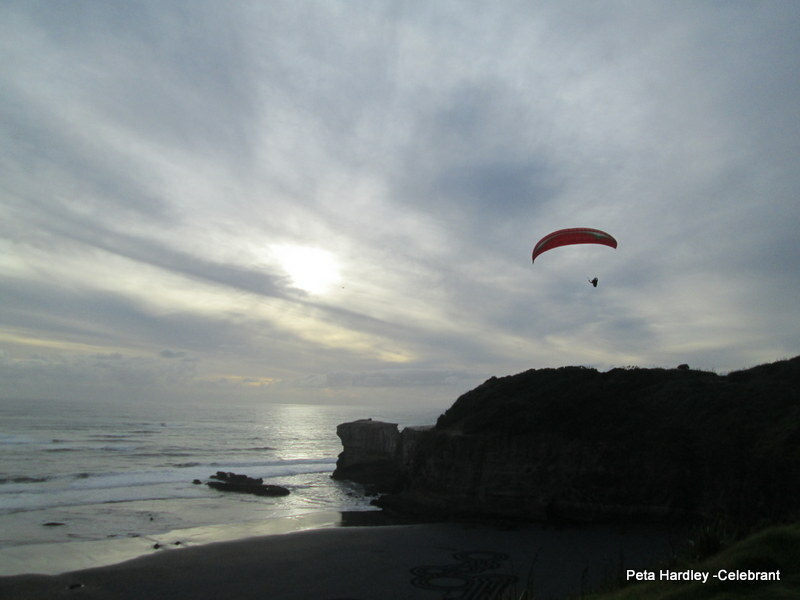 Time and self awareness led her to realise the only person she really truly needed was herself. Linde declared loudly and proudly, she did not need any one else to make her whole. The only person she needed to be married and committed to, was herself. 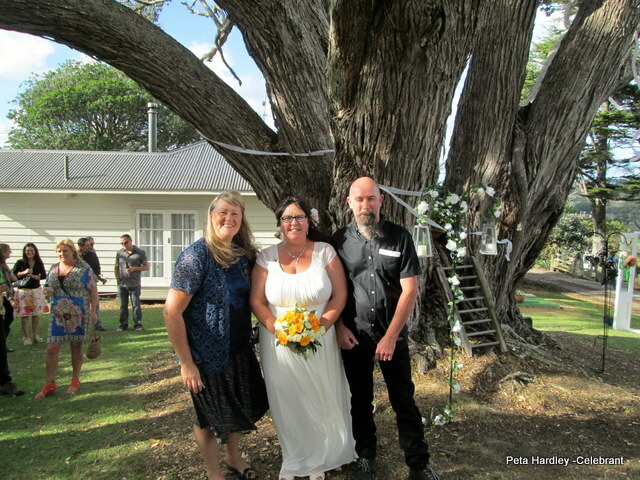 Linde’s very unique ceremony, celebrated not only her marriage to herself, but also blended in elements of a significant birthday, retirement, transition, marriage and even funeral themes. 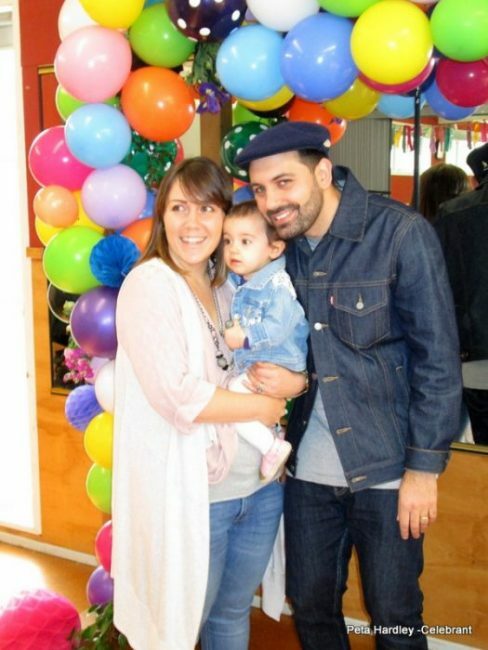 There were candles, balloons, flowers, ribbons, colour, laughter, music and fun. What an amazing day for an amazing woman! 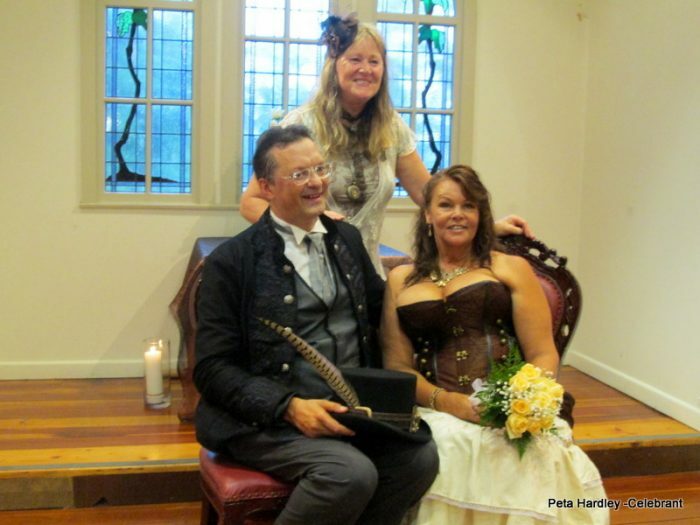 Donella and Rainer had a lot of fun, as did their guests, when they chose a Steampunk theme for their wedding at Old St Michaels in Corban’s Estate Henderson. 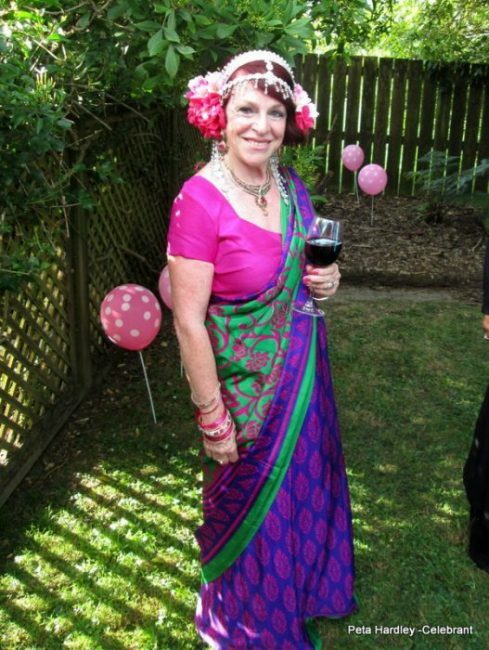 Okay, I have to admit that I had a bit of fun dressing up too. You don’t need to marry to celebrate your love. 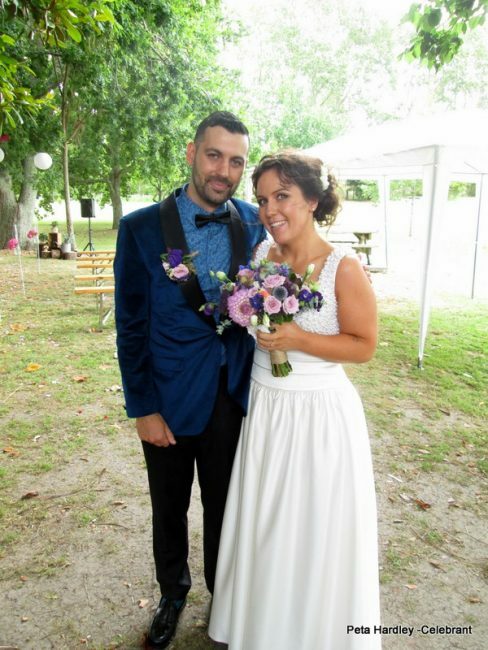 Maria and Russell renewed their wedding Vows in front of family and friends, at Hibiscus Coast Boat Club. 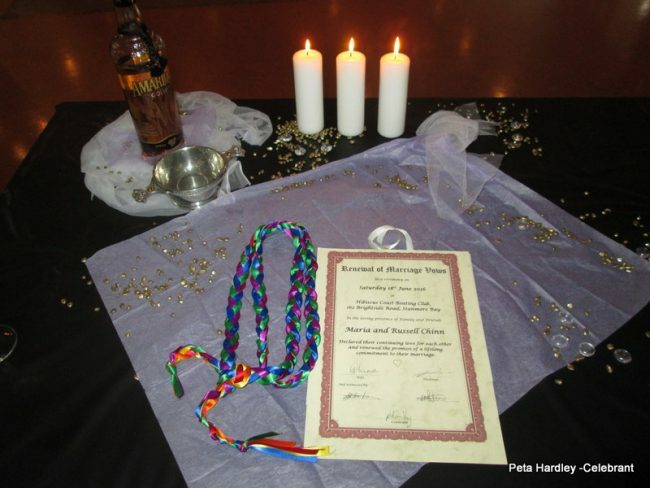 They incorporated lighting of candles, a handfasting and also drinking a delicious Sth African drink (Amarula Gold) from a Scottish Quaich – How’s that for symbolism! 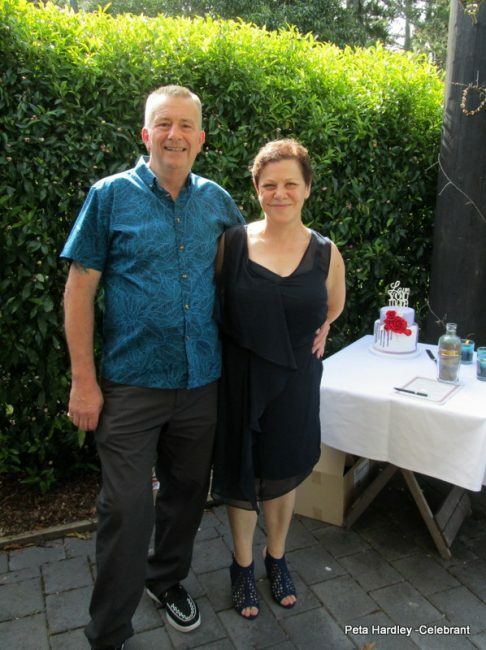 Also choosing to renew their wedding Vows in front of family and friends were Mike and Mel. 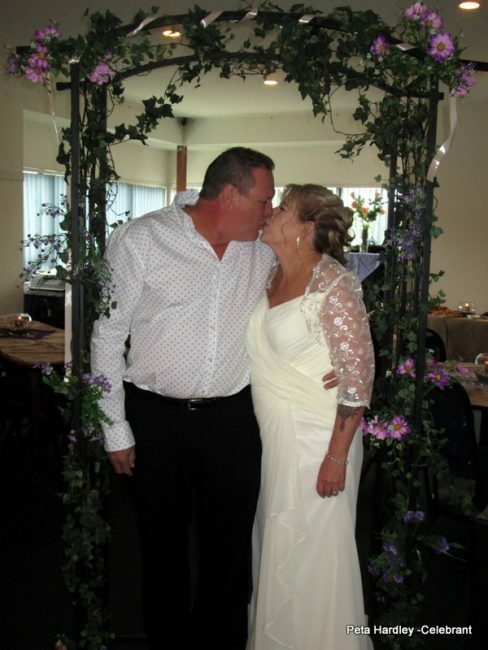 They were celebrating their 40th wedding anniversay! 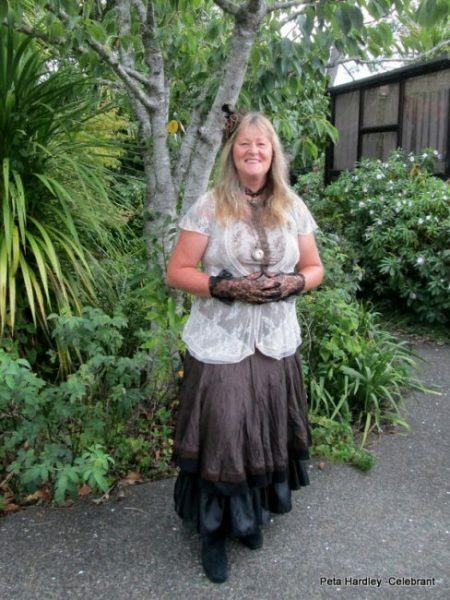 They included a lovely sand blending, in their ceremony held at the Brigham, Whenuapai. 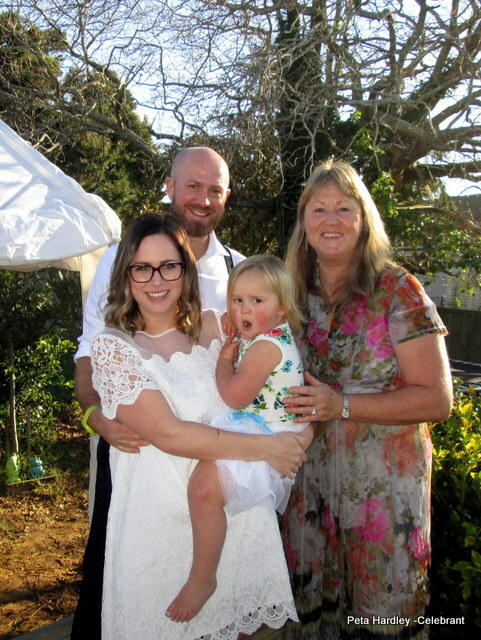 Finally and quite recently, I officiated at the Naming ceremony of the truly delightful Ruby. It was the most fun and colourful party I’d been to in ages. 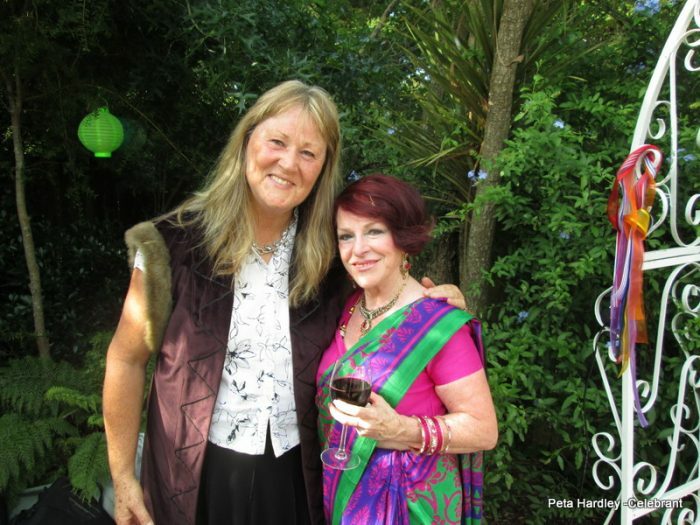 I feel so lucky to be a celebrant and meet all these amazing people! Something really special happens when love and nature are woven together. 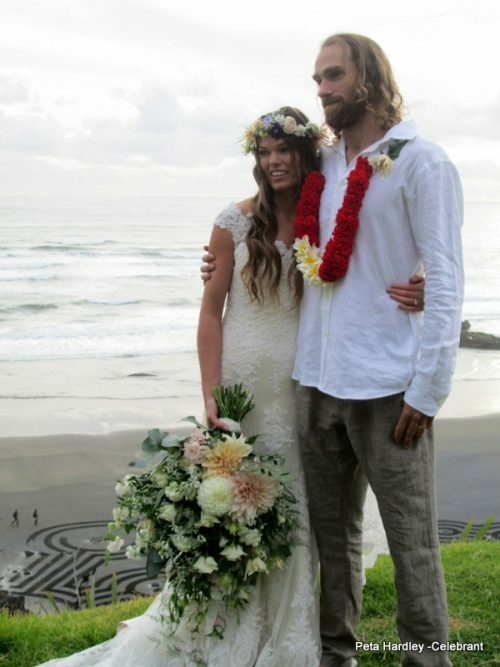 Call it natural, real or down to earth, but these couples’ love for the sea and bush are reflected in their choice of ceremony venues. 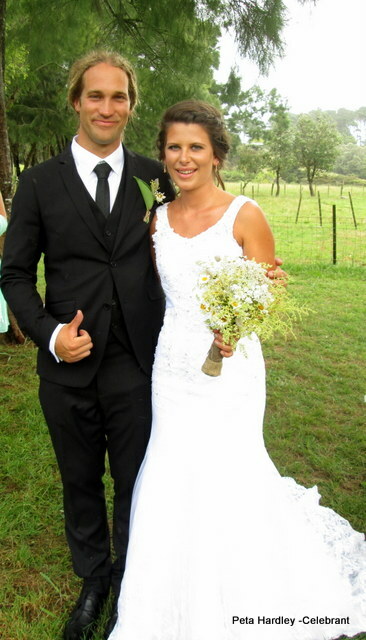 Beautiful couples. Amazing families. Wonderful memories. Who said you have to hire a wedding venue and pay a fortune to have a fabulous wedding? 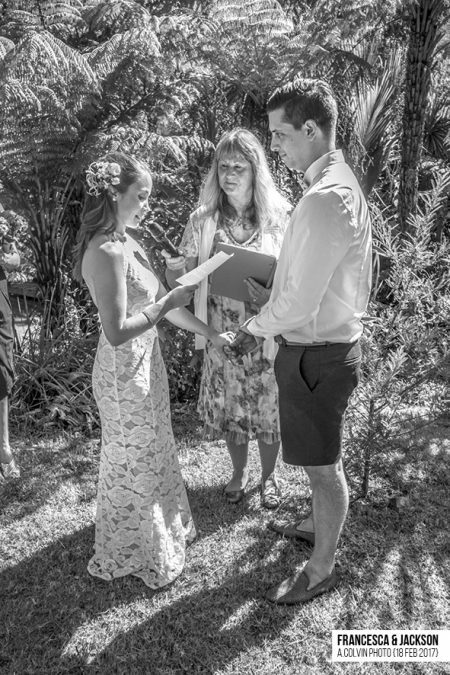 Why not have your wedding at your home? 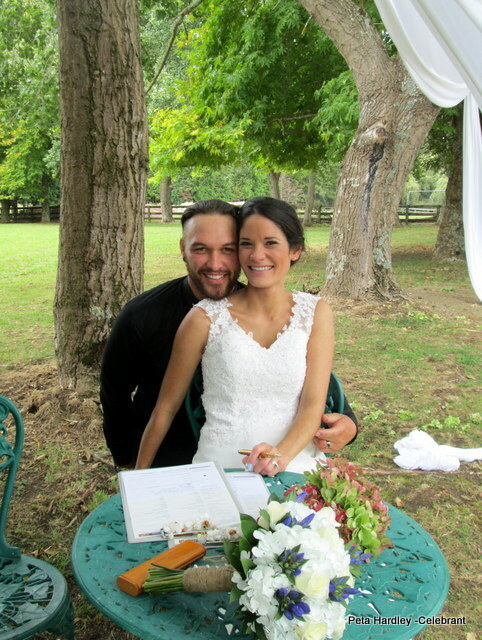 My enormous congratulations to these gorgeous couples who recently married in their own/family homes….. creating a warm friendly, family atmosphere and a truly memorable occasion. 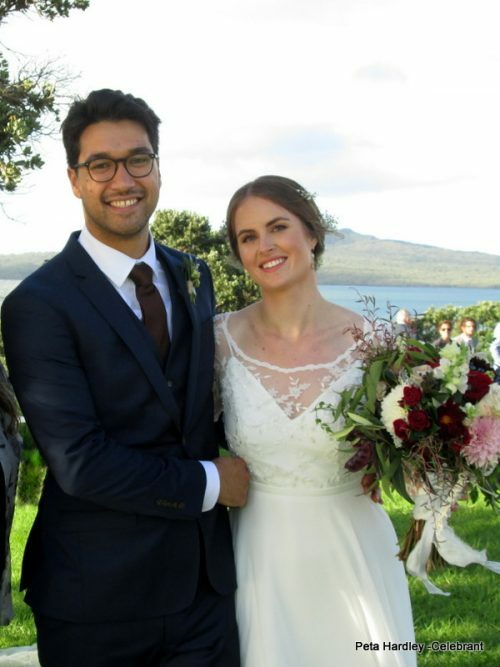 Kylie and Carlus utilised the wonderful native bush area at the rear of their home, to create a cool dappled wonderland for their big day. 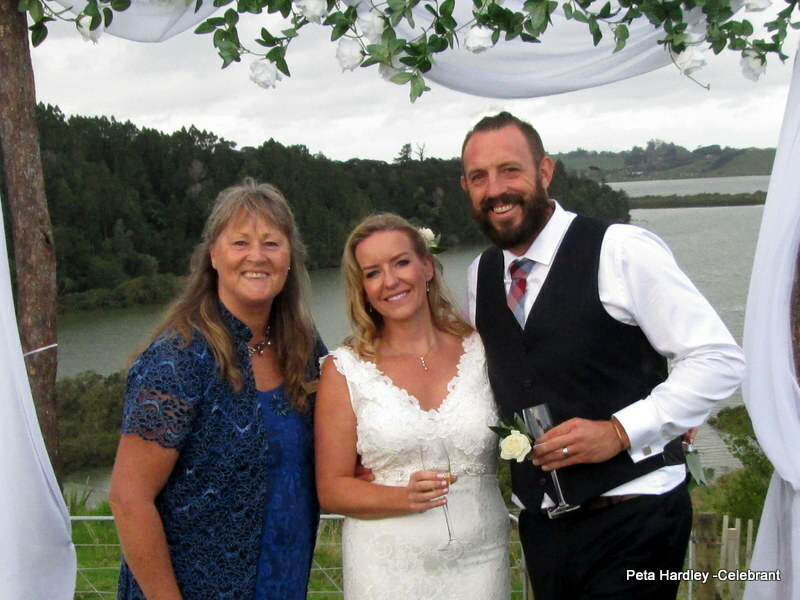 Stevo and Hazel’s fabulous rustic farm setting – complete with hay bales, at their Muriwai home, was a real treat. Even the cows and horses seemed to enjoy it. 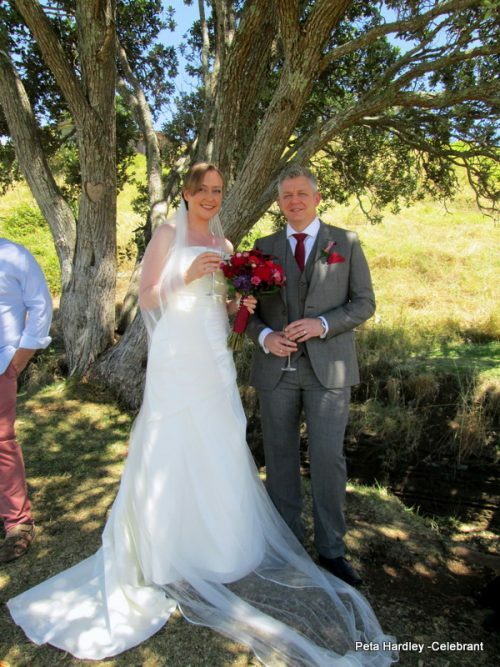 Big trees, open spaces, lots of family and friends and big smiles were the order of the day for Jared and Abby, when they married at their family home in Kumeu. 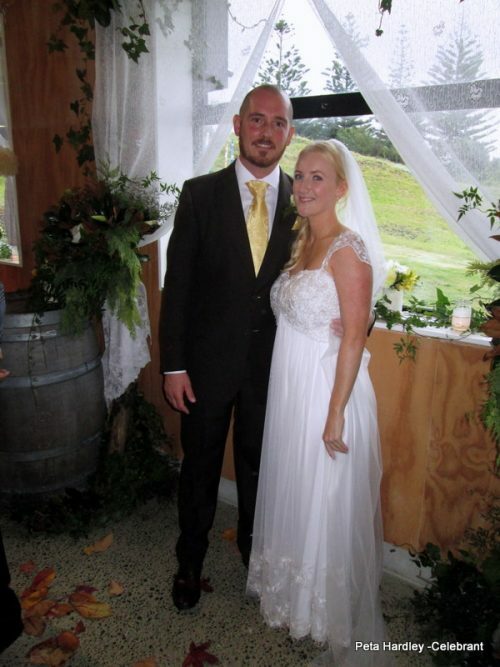 Sophie and Shaun of Helensville decided to shock their guests with a surprise wedding. 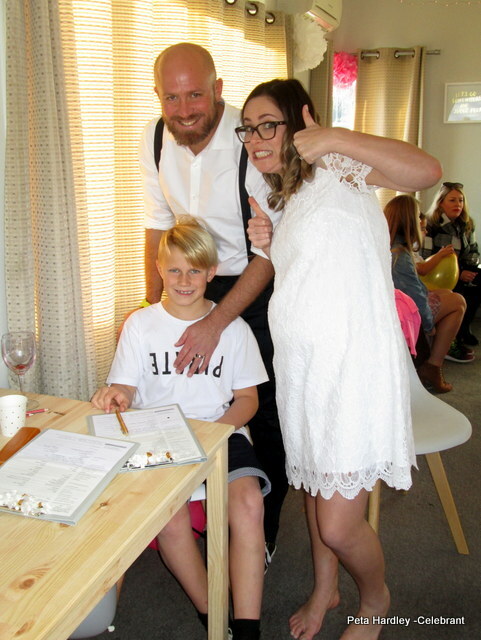 The guests thought they were attending a house warming and baby shower. 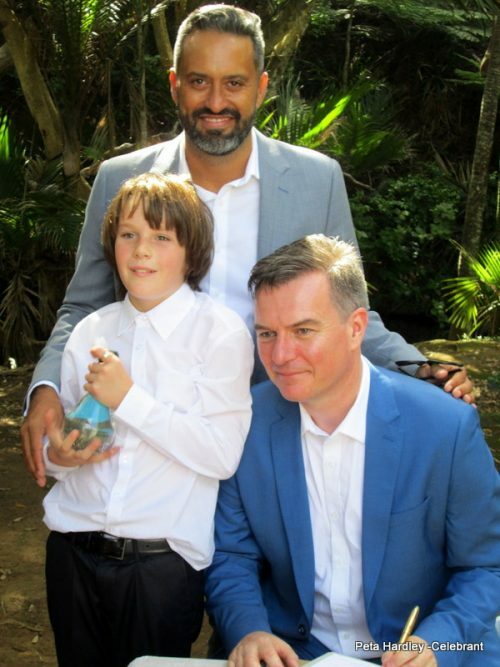 A lovely touch at their relaxed wedding, was that Shaun’s son, Tyler (8) acted as a witness. Weddings are like fingerprints; each one is different, unique and beautiful.